I also look forward to the new books my favorite authors are putting out like Dean Koontz, Anne Rice, and others. I am also writing another edition to my Child Series or I really should say Tommy Hulette series at this point since I'm not sure I will add the Child tag to the title this time. I mean I'm not sure. It also may be the last Tommy Hulette book I write for a while. I'll have more info on that as time goes on. 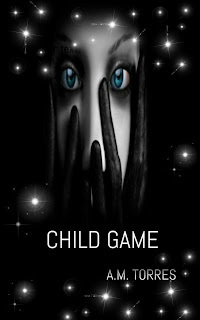 I will say that this rendition is the continuation to Child Game which is the fourth book of the series. I know Child Game took a while to complete (due to the tragedy I mentioned) but this book should be ready sooner. Its been coming along faster so I'm confident of this. This new story will have surprises for Tommy and for readers (maybe, maybe not lol) but Tommy has come full circle and he's ready to put an end to the continuous war that has plagued him since Love Child. Its something he must do if he's to ever attempt any kind of normal life again or at least some semblance to a normal life. Being a father has helped ground him in the midst of the insanity he continues to face. But can he regain everything he has lost even as he fights to hold on to what he has left? Fall writing is some of the best writing for me. Nothing beats sitting in the backyard and watching the colored leaves as my stories come together.